The perfect combination of decorative and tasty! Each Texas Two Step Soup Mix is simple to fix and will easily serve 6 to 8. 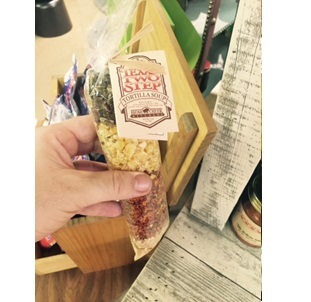 Texas Two Step mixes add a colorful and charming touch to your kitchen decor, and just wait till you taste them!!! Tortilla Soup brings the Southwest home to your kitchen with its spicy Mexican flavor. Our 8 Bean Soup even comes complete with its own bottle of Tabasco sauce for seasoning! This perfectly paired duo makes a great housewarming gift!